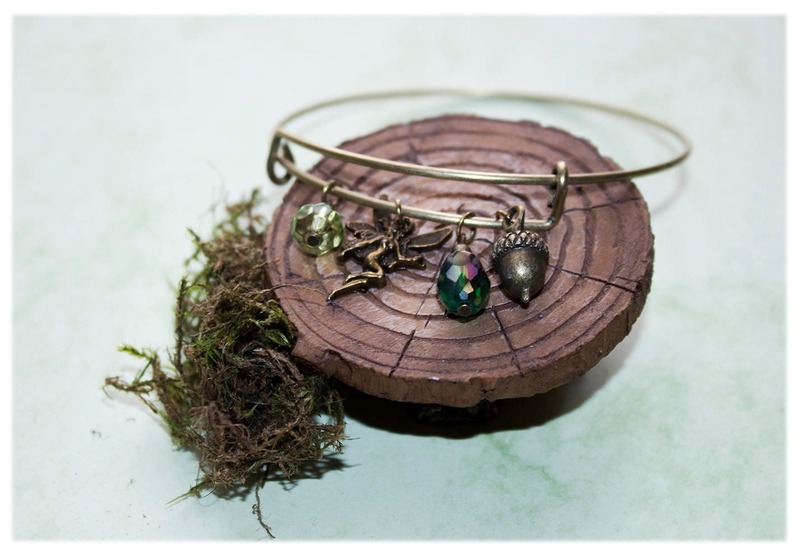 Enchanting antique bronze woodland bangle bracelet, hand crafted in my magical faery studio. 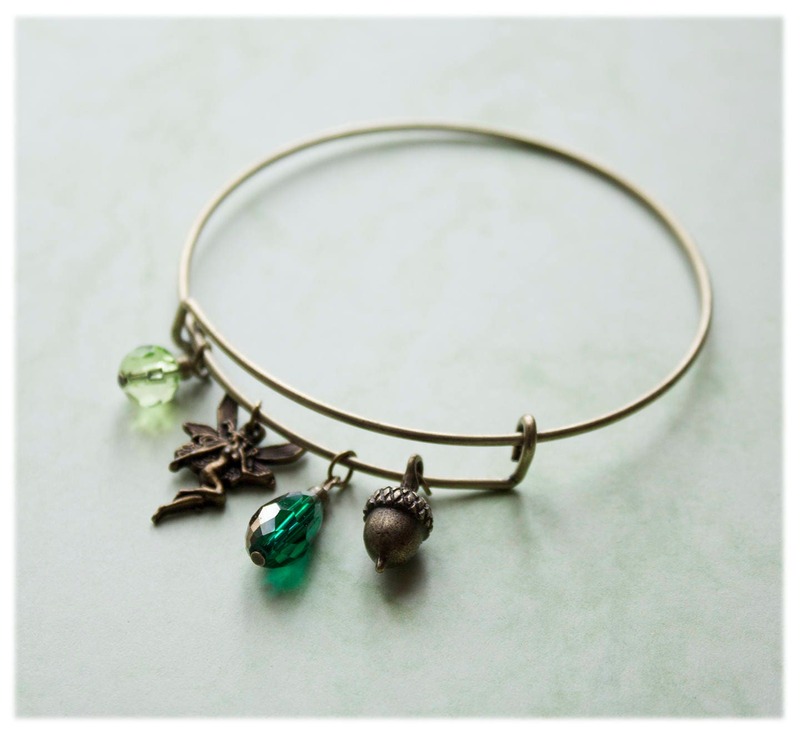 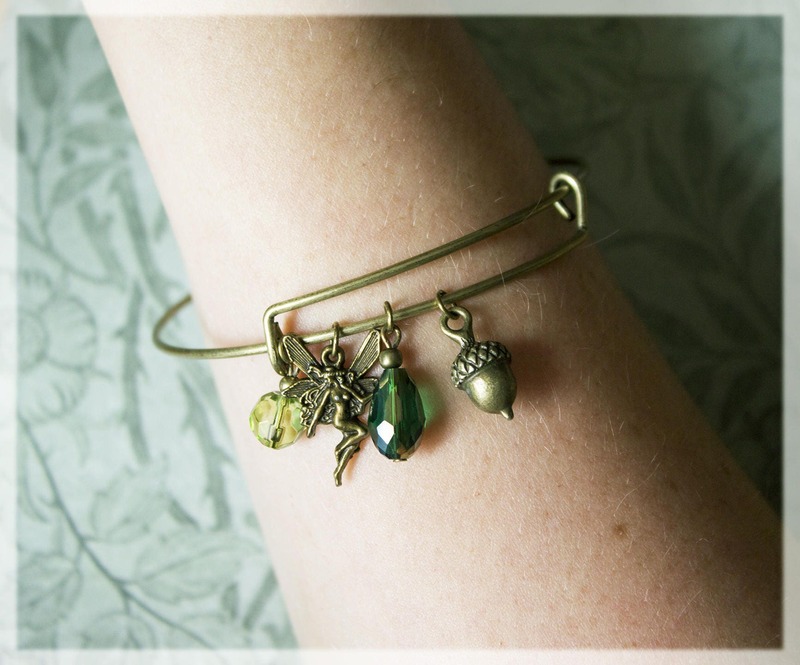 This charming rustic style bangle bracelet, features dainty bronze charms with an acorn charm, a faery and green glass beads. 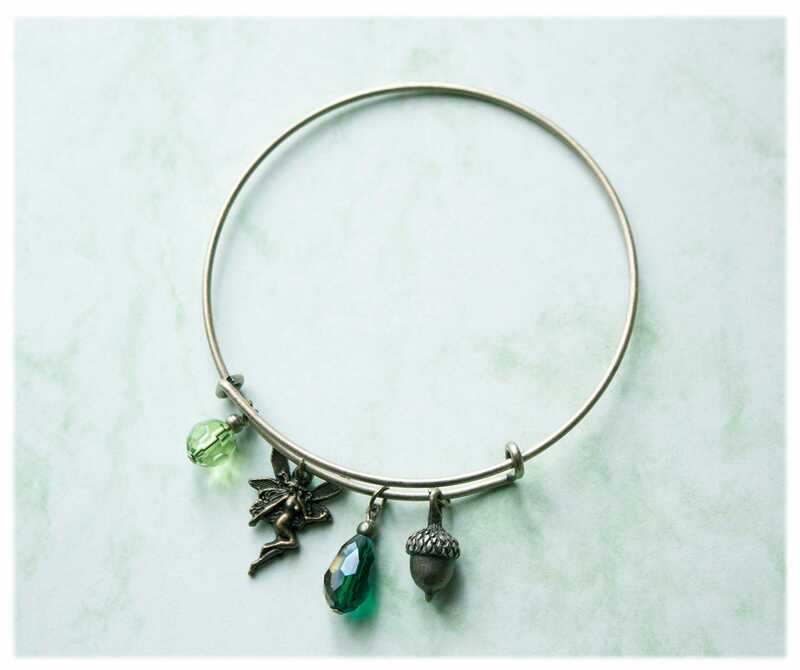 Keep the magic of the woodland close to you with this enchanting bangle. 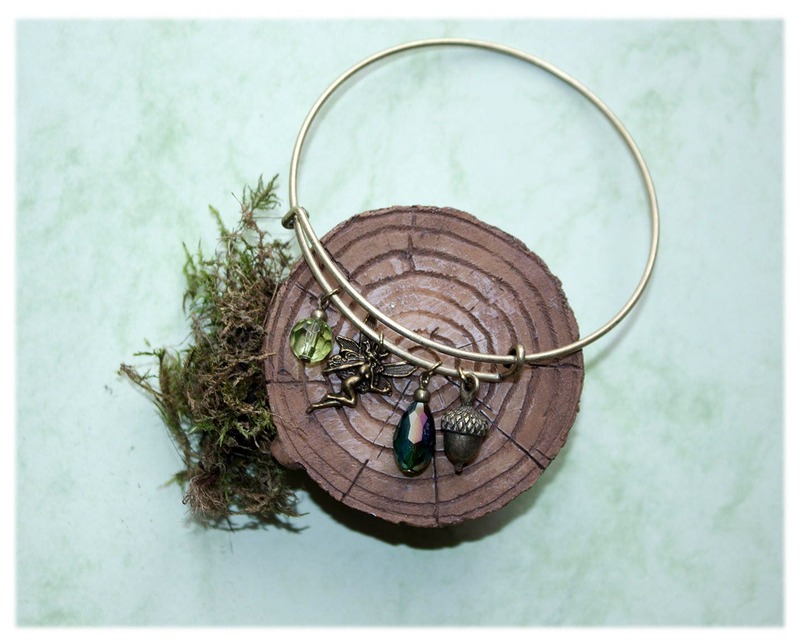 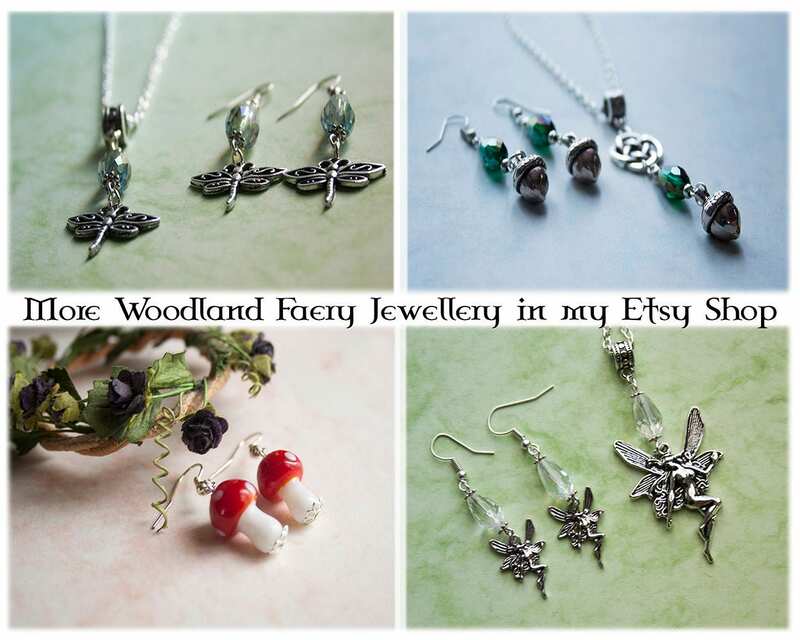 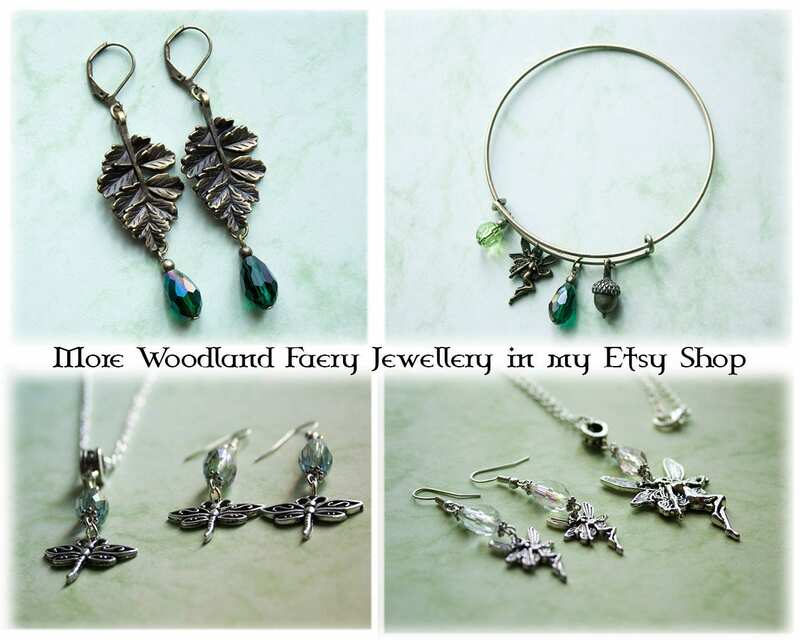 Inspired by the magic of lush green woodlands, the smell of the pine, the fresh air and the rustling of the leaves in the trees...keep the magic of the woodland with you with these wonderful nature themed bracelet.